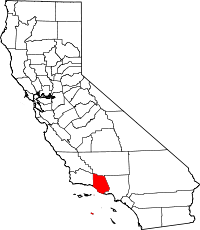 Ventura County, California vital records can be obtained from the office of the Recorder and Clerk, in person or through their website. Indexes of birth, death and marriage records can be accessed and searched by the public during regular business hours. To request copies of vital records, submit the appropriate application form (available online or in person) along with the filing fee indicated, either in person or through the mail. For an additional fee, orders can be processed through the third-party VitalCheck Network, which accepts all major credit cards. To find copies of divorce records and other court documents, contact the superior court.